This beautiful leather cuff bracelet is made with genuine natural leather, that is dyed dark brown (can be dyed any color you like). 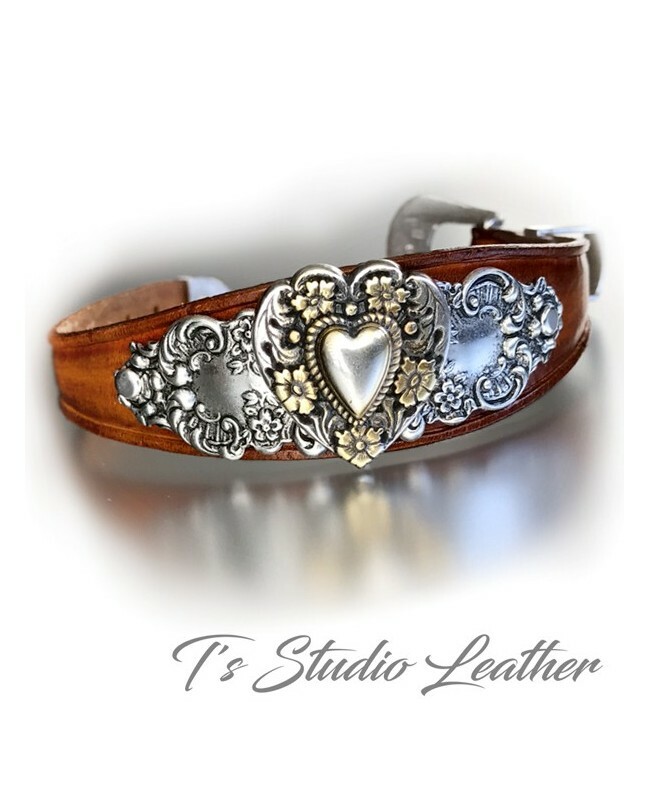 It is accented with an antique silver heart concho and a gorgeous western style buckle clasp. I am happy to accept custom orders. Please contact me if you have a particular style or design you would like, I will make something special just for you.